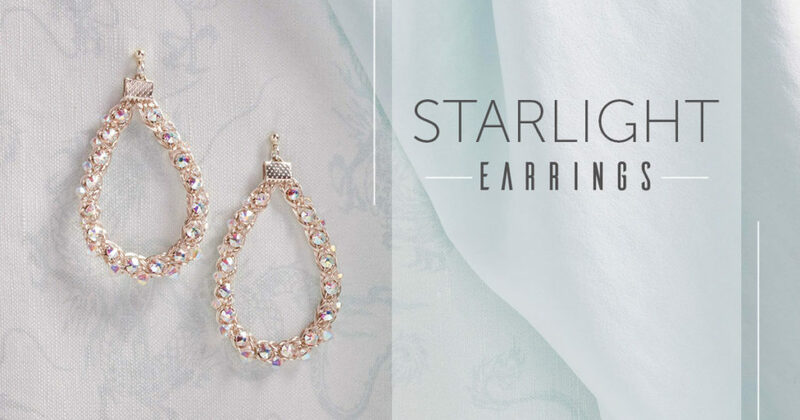 The sparkling beauties from Kumihimo Wirework Made Easy, Christina Larsen’s Starlight Earrings are the perfect special occasion accessory. 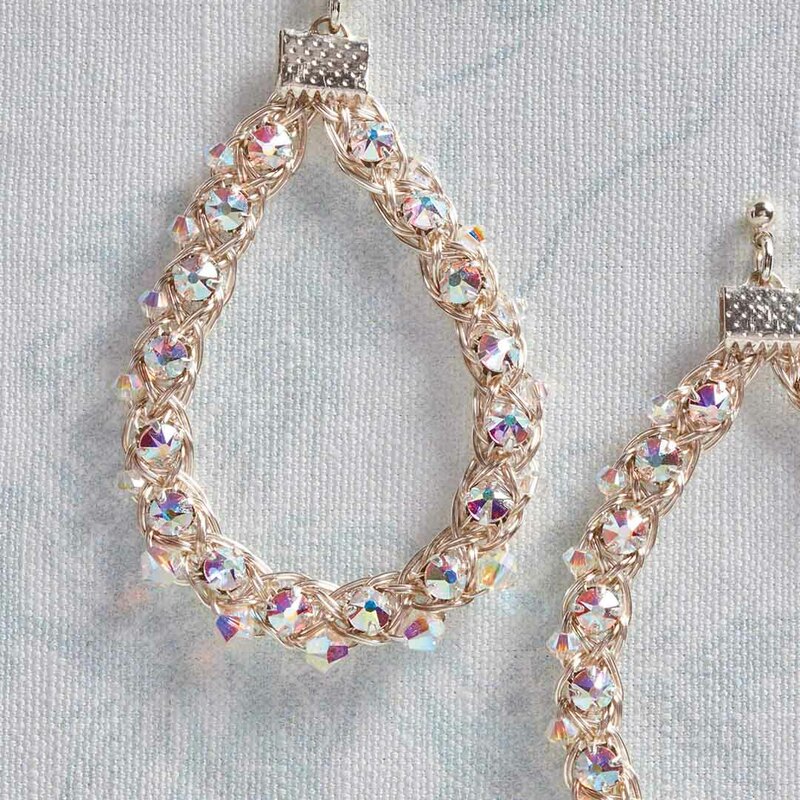 Braided with fine wire and glimmering bicones, the Starlight Earrings design is forgiving and easy to form. These beginner-level earrings are a great first project to make to introduce yourself to the art of wire kumihimo jewelry. From Kumihimo Wirework Made Easy: Starlight Earrings. Image courtesy of David Baum. 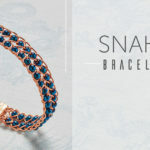 See more wire kumihimo projects in the Kumihimo Wirework Made Easy Lookbook! Put a little wire kumihimo sparkle in your life with Kumihimo Wirework Made Easy!